Ginger High- Books R Us: GUEST POST AND BESTSELLER FOR A DAY BY T. GIULIANO LONG AUTHOR OF IN LEAH'S WAKE. GUEST POST AND BESTSELLER FOR A DAY BY T. GIULIANO LONG AUTHOR OF IN LEAH'S WAKE. 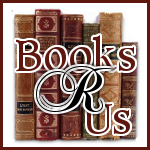 I want to welcome Terri Giuliano Long to Books R Us. Terri is the author of In Leah's Wake . Thanks for stopping by and making In Leah's Wake a bestseller for a day. I’ve always been an avid reader and writer. I’ve always loved stories. One of my earliest memories: it’s naptime; I’m lying in bed with my mom and my little sisters—our baby brother came later. My mom’s reading Sleeping Beauty. I’m caught in the story. But it’s not only the story. It’s the book, the texture of the pages, the beautiful cardboard cover, the gorgeously painted scenes with their muted, pastel colors. Looking at the pictures, you saw that the artist believed in the story too. It was the settling afternoon light, the rhythm of my mother’s voice. —and probably think I was nuts. Once I was old enough to read, I immersed myself in books. I don’t know a single writer who’s not a reader. I read anything and everything—fairy tales, King Arthur. Exodus is the first adult book I remember reading. I was ten or eleven. In high school, I turned to “real” writing. I wrote for the school paper. Although I enjoyed the work, I had bigger ambitions. One day, I marched into the newsroom of our town paper—I don’t think I even called, just popped in, asked for a job. At first, I covered high school sports—football and hockey games, track meets. The editor liked me, I guess. After I’d been writing for a while, he gave me a column, called it “High School News,” and ran my picture under my byline. I made about a dollar a week – and I knew then that I’d never do anything else. When our kids were growing up, I worked part-time. I wrote for the town paper, wrote a fitness column for a regional paper, edited a small newsmagazine. I enjoyed writing nonfiction, especially feature articles—stories about people. At thirty-four, I attended my first creative writing class. I’d never written a story. The stories and plays I’d made up as a kid were designed to entertain me. I’d never written them down. Writing fiction opened a whole new world. I felt the same electricity I’d felt when I was a girl, lying by my mom, listening to her read. I’d lose myself; the hours fell away. One day, I told my writing teacher I wanted to publish. By then, I’d written a grand total of two stories. In my life. A kind man, he didn’t laugh in my face. Rejections piled up. Some days, I’d think, this is it. I’ve turned the corner. Sentences behaved. Characters sprang to life. Other days, I saw my writing more realistically, knew I hadn’t published because I wasn’t ready. Chris Tilghman, one of my grad-school teachers, said, “I can teach you 97% of what you need to know. That elusive 3% makes the difference.” Like the difference between a four-minute mile and running 3:59. One-second seems like nothing; in fact, it’s everything. My lowest point came the morning the leader of my writing group called to kick me out. My work wasn’t up to snuff. I wasn’t as good as the rest of the group. Days followed—many days—when I wondered why I bothered. The cosmos would hardly explode if TG Long put down her pen. The truth? No one would care. Unless I told them, no one would even know. (Except for my family. I’d have driven them crazy.) Earth would spin. The sun would shine. Birds would sing. Tough, yes, but it’s true. Also true: we can’t give up. As with any profession, persistence is the most important quality writers possess. Keep writing, keep submitting to publishers or beta readers; eventually, the writing improves enough to be of interest to readers. Of course, most of us can take only so much rejection. Where do we draw the line? A hundred rejections? Two hundred? Five hundred? A thousand? In Leah’s Wake garnered 22 rejections. No, the book wasn’t perfect. But I’d received enough positive comments from editors at major New York houses to know it had merit. If I gave up, I’d be giving up on my story, giving up on myself. Then a small publisher picked it up. I spent a year revising, polishing. Just before the launch, the publisher ran out of cash. After the deal fell through, I put the book in a drawer. For a year, I wrote nothing of substance. I wrote, but I was biding time; the work never came together. Last year, I began to gain traction on a new novel, Nowhere to Run. That’s when I decided to publish In Leah’s Wake. Publishing this book is the best thing I’ve ever done for myself as a writer. Don’t get me wrong: indie is tough. The logistics, figuring out how to format and publish a book are hard; the shameless self-promotion makes you feel sick. But you push through. Publishing is a business; you promote your book or it dies. You meet beautiful people. Readers tell you they love your book. Fellow authors like Amber Scott, Rachel Thompson, Carolyn McCray, founders of the Indie Book Collective, my sponsors for Bestseller For a Day, take you under their wing. To achieve our dream, whatever it is, we need to have faith in ourselves. When others sneer and it feels like the whole world thinks we’re not good enough, we have to remind ourselves that we are. We can accomplish our dreams. We have to believe in ourselves. Be persistent. And never give up! Making authors dreams come true one promotion at a time. Each month, for one day, readers, friends, family and peers rally together to drive an ebook up the Amazon Kindle rankings with a goal to pierce the top 100. The aim of the program is to help Indie authors get a foothold in the traditionally published dominated market. 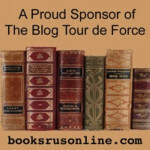 Authors coordinate with book review sponsors to show readers that the 99 cent promotional price is worth every penny. Terri will be giving away an Amazon Kindle to one lucky winner who purchases In Leah's Wake during the promotion on Aug 17th and fills out the form located on the http://bestsellerforaday.com site. Signing up the for event newsletter earns readers extra entries toward the Kindle, too! Stop by the site and find out how you can get some great books for 99 cents each. Now that is a great bargain and you could win a kindle. It all starts today. The Trust by Sean Keefer. Sophie & Carter by Chelsea Fine.